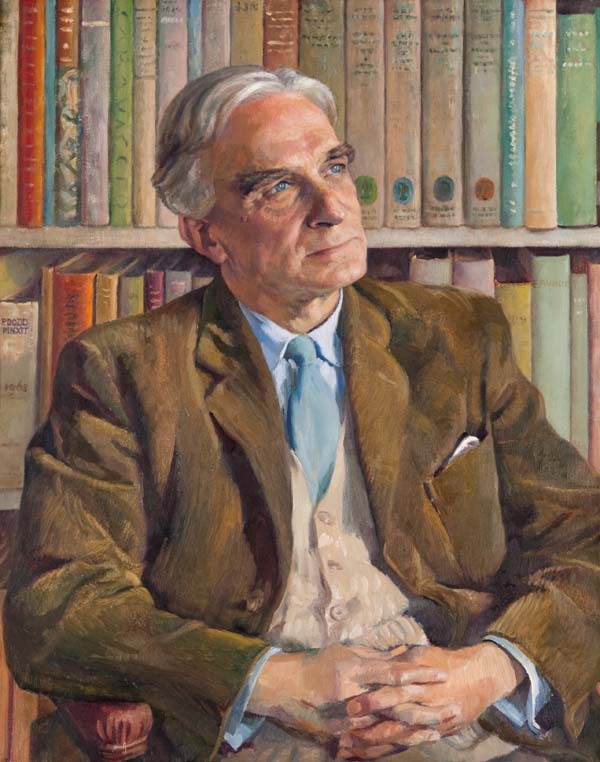 Following on from my blog post about William Oliphant Hutchison, Director of the Art School 1933-1943, this post covers the Directorship of Douglas Percy Bliss, Director for almost 20 years! Disclaimer: The papers of Douglas Percy Bliss have been catalogued but since they are younger than 75 years old, they fall within the realm of Data Protection so cannot be accessed until a Data Protection check has been carried out of the collection. This will be carried out soon and an update released once the papers are fully open for researchers! Douglas Percy Bliss was Director of the Glasgow School of Art from 1946-1964. He was educated at Watson’s College, Edinburgh, and at Edinburgh University before studying painting at the RCA under Sir William Rothenstein, 1922-1925, where he received an Associateship. During his Directorship of the Glasgow School of Art, the School saw a re-emergence of the importance of design and the creation of the three new or reconstituted departments of Interior, Textile, and Industrial Design, raising them to the status of Diploma subjects, and providing them with fully equipped workshops. He strove to bring figures from London to teach, and those that came to Glasgow included Gilbert Spencer (formerly of the RCA and the brother of Stanley Spencer) and Eric Horstmann. Whilst in Glasgow he was tireless in encouraging critical appreciation of the city’s architecture and the work of Mackintosh. When Bliss left Glasgow School of Art in 1964 the School was listed in Whitaker’s Almanac as among the six highest-ranking Art Schools in Britain. Just like Hutchison, the papers of Bliss consist of several boxes of meticulously arranged correspondence, in alphabetical order, and there is much subject matter you would expect such as correspondence with the other Art Colleges in Scotland, the Scottish Education Department, the Governors of the School and correspondence with Staff and Students. Bliss also received a number of letters from prospective students, asking about qualifications in Art, what was required to become a commercial artist, hints and tips, and also asking his opinion on their sketches. A particularly charming letter includes some sketches of dresses by a young, hopeful fashion designer. There is also a large amount of correspondence about the Needlework Development Scheme: a lending scheme that began in the 1944, with funding received from Paisley thread manufacturer J&P Coats, to share historical examples of fine Needlework across the country in the hope of inspiring high quality modern-day needlework. The Scheme ended in 1961 and the collections were divided amongst a number of institutions, including the Glasgow School of Art. You can see what textile pieces we hold here. This correspondence is about matters such as: The Art School borrowing needlework samples for teaching; research into textiles, for example some letters trying to trace an article called ‘On the Therapeutic Value of Needlework’; and correspondence about the ending of the Needlework Development Schemes and the disbanding of the collections. There is also a lot of correspondence, within special themed folders, relating to the Hospitalfield House, a residential art school that began in 1902 that continues today. Hospitalfield became a post graduate school from the 1920s and only the best students were invited to study there. The correspondence records information such as: applications from students at Glasgow School of Art; details of students that were accepted for the residency; reports on Hospitalfield students and the Director’s visits to Hospitalfield House. Many successful GSA artists had an experience of Hospitalfield as either staff or a student including Joan Eardley, Peter Howsen, Robert Colquhoun, and Robert MacBryde. Another interesting theme that is seen throughout the correspondence relates to the formation of a ‘Mackintosh Room’ in the Art School and Bliss’ aim of building a Mackintosh display within the Art School Building for staff, students, and visitors to enjoy. Bliss formed a list of individuals who may have been willing to donate some Mackintosh Furniture to the space and correspondended with many people about the project. Bliss appears to have worked hard to further the reputation and influence of Mackintosh’s legacy and to support Mackintosh research. 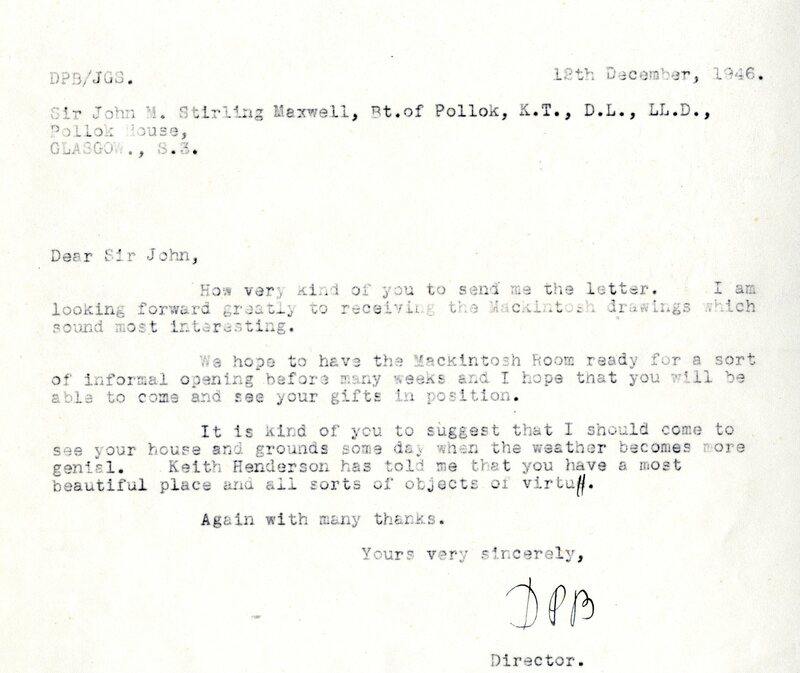 One letter records Bliss asking the current inhabitants of Mackintosh’s old house on Southpark Avenue if a student interested in researching Mackintosh can come and visit their home to take a look. Bliss also worked on the campaign to save Glasgow’s Mackintosh Tea Rooms, enlisting help from individuals such as Nikolaus Pevsner and John Betjeman, and spread the reputation of Mackintosh world-wide by lending Mackintosh items to the Museum of Modern Art in New York, for an Art Nouveau Exhibition in 1958/1959. 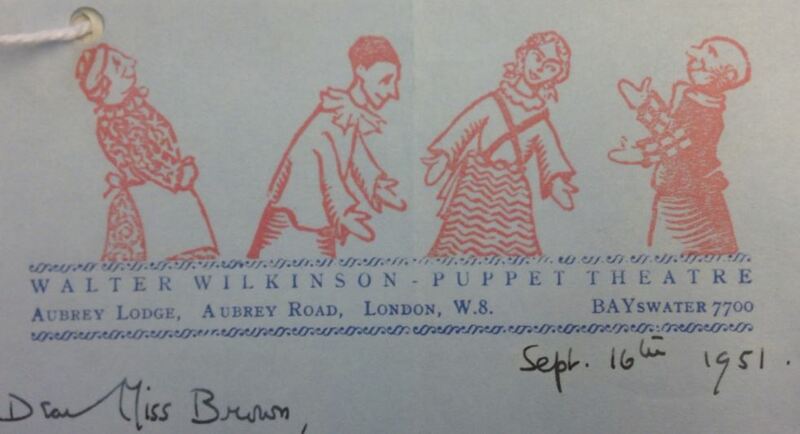 Some of the more surprising correspondence from Douglas Percy Bliss includes details of puppet shows performed for students by Walter Wilkinson in the 40s and 50s. Bliss regularly invited the London-based puppeteer to the Art School throughout his Directorship! Are there any alumni out there who remember these shows? These letters will be checked for Data Protection in the near future and an update will be issued to let researchers know that they are fully open. Watch this space!